A small crowd gathered on the down platform at Upwey station recently to see the new heritage style station sign being unveiled. A celebration cake was on offer to the those present. Railway stations used to have such boards in Victorian times – large signs at the top of the platform to let passengers know the train was ‘running in’ to its destination. The Heart of Wessex Rail Partnership, which looks after stations on the Weymouth to Bristol line, has been reviving this tradition with the help of funding from different partners and the skills of Exeter-based Rydon Signs. As well as showing that stations, particularly unmanned ones, are being looked after and appreciated, the big signs aid passengers with sight problems who may find small signs difficult to read, and those with a hearing impairment who may miss train announcements. Upwey is the latest station to get a board, the design of which was meticulously researched, so it could mirror the board which originally graced the station in the early part of the twentieth century when passengers changed for the Abbotsbury branch. 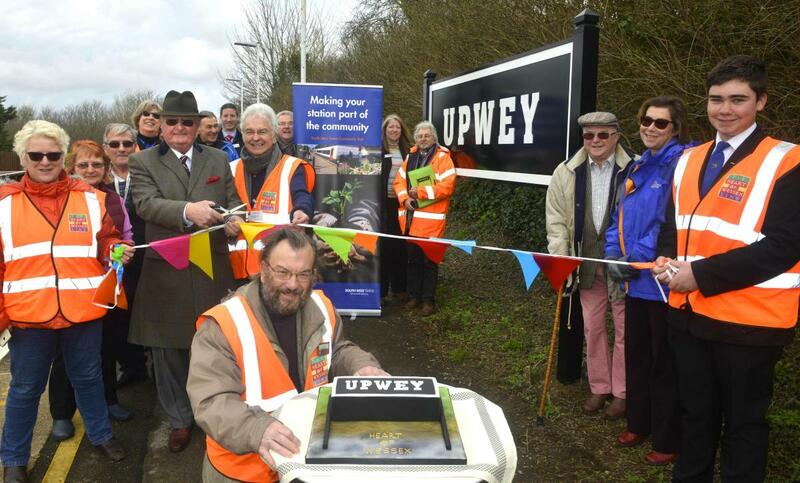 Members of the Friends of Upwey Station – including its newest recruit Budmouth College student Jamie Downs, 14 – South West Trains (SWT), Dorset County Council and the HoW rail partnership gathered to celebrate the new addition and enjoyed a cake made for the occasion. 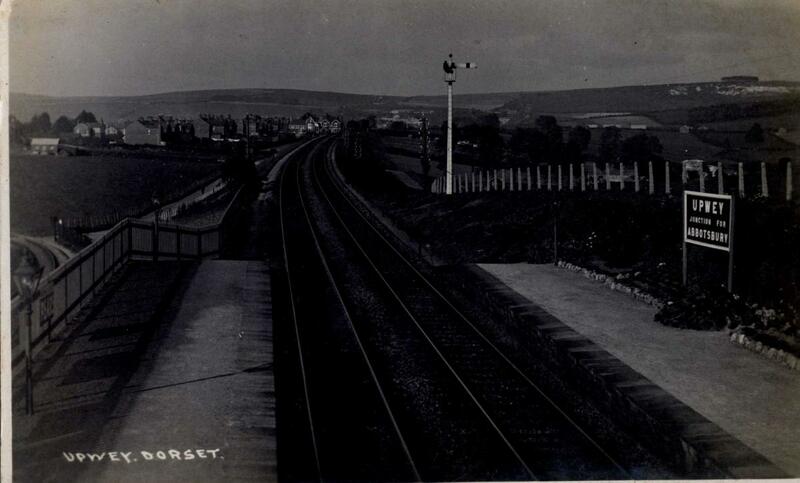 The project was initiated by the Friends of Upwey, and jointly funded by the rail partnership and station owner SWT. The voluntary Friends support both the rail partnership and SWT’s community rail initiatives, working to keep the station welcoming by tidying up, planting flowers and reporting incidents.